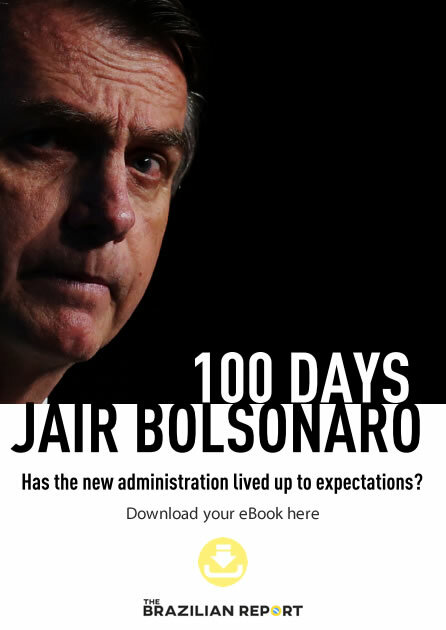 It’s been almost a month since the beginning of the Jair Bolsonaro administration—and it has been an uphill struggle trying to work out what exactly is going on. Members of the Brazilian government have sent messages in different directions, and the number of U-turns and retractions seems to be unprecedented. Many feel that Mr. Bolsonaro’s strategy is to create controversy in order to turn our attention to one way—so we won’t pay attention to what he is really up to, much like Donald Trump in the United States. So we ask: what is this administration really doing so far? To answer that question, we at The Brazilian Report have created a brand new newsletter service: Brazil On The Record. Every 15 days, we will publish the most important laws, decrees, administrative acts, and executive orders approved by the Brazilian government — and published on the Federal Register (the Diário Oficial da União). If something has not been published on the Federal Register, it doesn’t exist, as far as the Brazilian government is concerned. Acess our first issue here — or read it below. Brazil’s Federal Register is published on a daily basis — and is the only space in which the federal government can’t lie. But what multiple administrations do is try to camouflage potentially controversial subjects under a thick layer of legalese. And that’s where we come in. We will break down precisely what you should be paying attention to—sorting the content by subject, to optimize your reading. You will realize that most of what you will receive in your inbox won’t make headlines in the press. But that doesn’t mean these subjects are not important — or that they aren’t impactful. As you know, newsrooms are getting smaller and most can’t follow what is published on the Federal Record. But we can. We will not focus on the information that you have seen in the press. What we want to do is bring you what you won’t find in your daily newspaper. 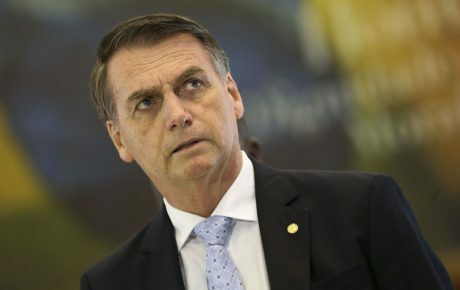 To the core: Jair Bolsonaro sanctioned a bill approved by Congress in late December that allows for the creation of endowment funds in order to finance projects of NGOs and public institutions. Projects in various areas can be supported, from sports and security, to environment and education. Anything of “public interest” can be covered by the earnings of these funds. The donor must state that the donation doesn’t have illicit origins, but the law does not prevent convicted individuals or companies involved in scandals from making donations. Furthermore, the legality of the origins is self-declared. Funds must publish reports on their websites, including details on “resource management and application,” every year, at least. It’s also mandatory to detail construction jobs, projects and services executed with the fund’s resources. But there is no requirement for the fund donors to be identified. Actually, the general rule in funds is that the identity of shareholders is concealed. The fund may receive donations from foreign companies and governments and from multilateral organizations. There is no requirement to declare money coming from abroad. An endowment fund can put money into another endowment fund, which can make it harder to track the money backing a given project. Funds can be provided with cash as a result of plea bargains and consent decrees from prosecutors. Only donations with the specific purpose to support cultural projects can be deducted from income tax. 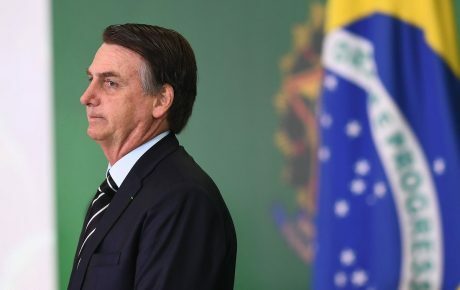 Other tax breaks, considered very important for companies to donate, were vetoed by Bolsonaro. “Non-restricted” donations allow the fund manager to withdraw the principal, not just the proceeds. In that case, the limit for use in the same fiscal year is 20 percent of the donation. The endowment funds can directly support public construction works, equipment, materials, scholarships, training for public officers, among other actions. If a supported public institution is privatized or subject to a merger, the resources continue to be applied to the succeeding institution. To the core: Law sanctioned by Jair Bolsonaro facilitates the dismissal of CEOs and members of limited companies. Previously, to remove a member from the status of company administrator, two-thirds of voting shares were needed. Now, a simple majority will suffice. In the case of companies with only two partners, the minority shareholder may be excluded when he/she is “jeopardizing the continuity of the company due to acts of undeniable seriousness”. To the core: In another of the laws sanctioned by Jair Bolsonaro as soon as he took office, companies were given five more years to submit projects applying for 75 percent discounts on income tax in the areas of operation of the Northeast Development Superintendency and Amazon Development Superintendency, offices responsible for development initiatives in those regions. Mr. Bolsonaro vetoed a paragraph that extended the same benefit to companies located in the zone of influence of the Central-Western Development Superintendence (which englobes states which are important for agribusiness such as Goiás, Mato Grosso and Mato Grosso do Sul). To the core: Ordinance signed by the Minister of Economy, Paulo Guedes, defines that it will be up to the Special Treasury Secretary, Waldery Rodrigues, to decide votes in the companies where the federal government holds a seat, including in those where it holds golden shares (for example, Embraer), besides practicing other acts related to companies where the federal government is a shareholder. The Secretaries of Treasury and Privatization will jointly appoint the representatives of the government on the boards of directors and fiscal board of state companies. That is, the person in charge of the processes of privatizations of Brazilian state-owned companies will have a greater influence over the members of the boards. 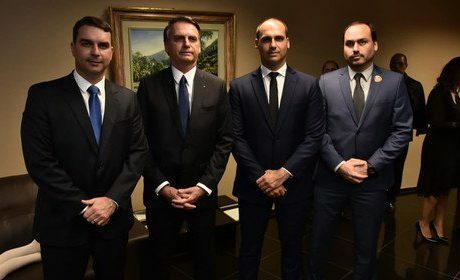 To the core: A law sanctioned by Jair Bolsonaro prohibits banks in general, including private banks, from providing loans, financing and other benefits, with public funds, to companies in debt with the FGTS (Guarantee Fund for Length of Service). Previously, the prohibition was only valid for lending by public banks. Despite the greater restrictions on lending, the law establishes an exception for loans to settle the company’s debts with the FGTS. 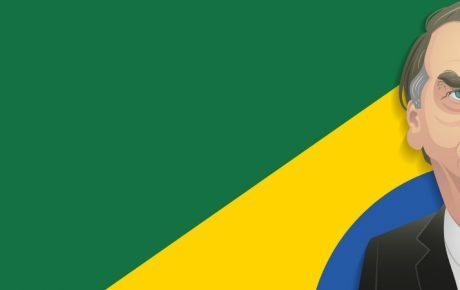 To the core: The Private Insurance Commissioner, the insurance market regulator in Brazil, has decided to extend the deadline for insurance brokers, capitalization and private pension plans to obtain new licenses with the government. The window will be throughout the second half of the year, between July 1 and December 31. To the core: A law approved also in December under Michel Temer, and now sanctioned by President Jair Bolsonaro, authorizes the Oswaldo Cruz Foundation (Fiocruz) to rely on its support foundation, Fiotec (Foundation for Scientific and Technological Development in Health), for the production and supply of vaccines, medicines and other inputs and services for health. With this, Fiocruz gains legal support to make commitments to multilateral organizations, such as the WHO, for the international supply of products such as the yellow fever vaccine. Money from international organizations, such as the World Health Organization, may be deposited directly into Fiotec’s account, without going through the bureaucracy of the National Treasury. To the core: The Armed Forces are now authorized to give logistical support to the More Doctors (Mais Médicos) program, which sends doctors to remote and poor cities in Brazil. The Navy and Army will be deployed to receive, host and transport doctors in the municipalities in which they will work. The Air Force will be in charge of the air transport of the doctors, when needed. To the core: Incra, the federal agency in charge of land regularization processes, has defined that it will give priority for the issuance of Certificates of Rural Property Registration (an essential document for land regularization) to the elderly, people with physical or mental disabilities, those with serious illnesses, those who already have an approved bank loan, and those who own property already in the process of sale. To the core: The National Agency of Land Transportation (ANTT) approved the continuity of the Ferrogrão railroad project between Mato Grosso and Pará—which would be, once completed, a huge improvement for agribusiness exports. The process had been stopped since the beginning of last yea. The regulatory agency’s decision also defines the next steps for the approval and execution of the project. To the core: A resolution extended the enforceability of the new rules on the definition of the price to be paid by companies for the use of radio frequencies by four months. The new calculation takes the National Agency of Telecommunications’ (Anatel) administrative cost coverage into account so public prices will probably become more attractive to telecom companies. Anatel decided in favor of the extension, claiming the need for technical adaptation. In theory, the measure also extends the available spectrum, opening up the possibility for new investments. Spanish company Telefonica, one of the most important on Brazilian market, has expressed that it wants the norm to come into force as soon as possible and had suggested a shorter extension. To the core: A simple order, signed by President Jair Bolsonaro, determining that the Secretariat of Social Communication as a whole (here including public broadcasts) should publicize acts of government without reference to the authorities. Basically, Mr. Bolsonaro has defined that the propaganda of the government must be impersonal. The order was passed on to other ministers as well. The trigger may have been the insertion of a “Bolsonaro Government” logo on the official NBR network, the day before the dispatch. To the core: The Office of the Federal Controller General has expanded the scope of measures to be addressed in “integrity programs” to be developed by all ministries. Initially, such plans should cover only “fraud” and “corruption”. Now it also includes “irregularities and ethical and conduct deviations.” Sexual and moral harassment will potentially be covered by this umbrella. The concept gets wider. The deadline set in the previous ordinance for the Integrity Plans to be approved by the organs was November 30, 2018. It has now been moved to March 29, 2019. To the core: DNIT, the federal agency responsible for Brazilian roads, has regulated the opening of a liability investigation process (PAAR), which can lead to a company being blocked from signing new contracts with the government. In order for the PAAR to be established, there must be “a description of the facts, location, and other circumstances that characterize the alleged noncompliance with the [contractual] obligation”. A suspicion alone, therefore, is not enough. It is necessary to have a preliminary determination before the opening of the process of investigation of responsibility. And this prior assessment is not regulated. The Normative Instruction gives a margin for the acceptance of defenses presented by the supplier even after the legal deadline, “at the discretion” of the DNIT officers in charge. Any PAARs not completed within two years will be processed as a priority and should then be completed within 12 months. If the process is not completed within the five-year statute of limitations, the case should be informed to DNIT Correction Department “to analyze the need for opening or not of the specific procedure of responsibility determination (PAD) of the server that gave cause to slowness”. To the core: The Minister of Citizenship temporarily suspended Normative Instruction No. 5, dated December 28, 2018, from the now extinct Ministry of Culture. The rule in practice meant that an NGO or a non-profit entity that had its accounts rendered irregular by the government, instead of making redemption in cash, could promote “compensatory” actions – that is, continue to provide service to the government. fraud in the agreement, or that the entity has not been ordered to give back the entire value passed on by the government . For this, the NGO would need to present a new work plan. This compensatory instrument has already been defined in law since 2014, but it was only regulated by the Normative Instruction signed at the end of 2018, which took care of specific parameters and rites to be observed. With the new rule signed by Minister of Citizenship Osmar Terra, the new rules are suspended for 60 days, and with that, this model of compensation still lacks validity. However, there is nothing to prevent the rule being definitively canceled by the new government. To the core: The Ministry of Economy changed the rules of the Annual Contracting Plan, a system that, as of this year, will oblige all federal government agencies to plan and inform in advance all the works and services they will hire the following year. The new rules remove the need to have a contracting planning team involved in this process, as well as eliminating the requirement for preliminary studies to serve as a parameter and justification for hiring and “risk management” analysis for contracts. This would be a requirement for government agencies in this new planning process, except for some exceptions provided for in the Bidding Law. Preliminary studies, for example, involved market survey and presentation of the details of the calculation used to define the presented price estimate. The estimate of the value of the contracts was previously linked to the Government Price Panel, preferably. Now there are no longer any specific parameters. Despite all the previous planning, which already provided two windows throughout the year for amendments, a third window is now created. Soon after the approval of the Budget by the Congress and its sanctioning by the president, government agencies will have 15 days to include new works and services to be contracted, if they wish to do so. These contracting plans must be published on the agencies’ websites. To the core: The ordinance gives the power to authorize members of the federal government to perform private activities parallel to their public offices back to the CGU’s Secretariat for Transparency and Prevention of Corruption, as well as the prerogative to assess whether there is a conflict of interest in consultations sent by the officers to the agency. Since May 2016, this responsibility lay with a lower department in the CGU hierarchy, the Integrity Promotion, Agreements, and Cooperation Board and now it tends to represent a stronger commitment to accountability. To the core: In the most talked-about issue of recent weeks, Jair Bolsonaro signed a decree changing the rules in force since 2004 for ordinary citizens to own weapons in Brazil. Now, almost anyone over the age of 25 with no criminal record, that passes a psychological screening and takes shooting lessons can own up to four guns of any caliber (as long as it is not of restricted use). The decree automatically renews currently valid gun licenses for another 10 years. The limit of four weapons can be waived if the citizen presents to the government the “effective need” for more weapons. Cities with well above average homicide rates may be a justification. The request for the registration of weapons will be rejected if it is proven that the person “maintains links with criminal groups.” As one of the requirements is to present evidence of a clean record in relation to investigations or proceedings, this proof of absence of connection with criminal groups must therefore occur in an extrajudicial manner. Until now, it was necessary to re-submit documentation of technical capacity, psychological aptitude and a clean criminal record every 5 years, for the renewal of licenses. That period is now increased to 10 years. To protect children and teenagers from the risk of picking up weapons in their homes, the decree defines that, at the time of registration, the person must declare 1) if he/she lives with a child, adolescent or mentally ill person and 2) if he/she owns a safe or “safe place” with a lock. However, these requirements are self-declared. The concept of a secure place also appears openly in the decree and, could even include a locked cabinet or drawer. The Federal Police can do an on-site verification when it is convenient. This, however, is not regulated. The possible punishment for those who lie in the self-declaration is a fine and an open sentence of up to two years. To the core: The decree that created the Intelligence Task Force for confronting organized crime had already caused controversy late last year. Now General Augusto Heleno, in charge of the Office of Institutional Security, has defined the “General Norm of Action” of this task force. However, the norm itself was not published on the Federal Register, instead just an announcement that said rule already exists. The argument is that it is a matter of national security. To the core: President Jair Bolsonaro vetoed, following the recommendation of the Ministry of Justice, an excerpt from a bill approved by Congress that ordered all commerces selling cigarettes and alcoholic beverages should have a clear sign with the phrase “It is a crime to sell cigarettes and alcohol of illicit origin. Report it!”. The legal justification for the veto mentioned an invasive approach from the state in private activities: “The overloading of duties to entrepreneurial activity can risk the freedom of economic activity”. In addition, according to the Ministry of Justice, the measure “is not consistent with the logic of relief that defines the relationship between the state and its citizens”. To the core: The ordinance alters the prerogatives the commands of the Armed Forces have during Peace Operations. The “mobilization” function is no longer part of these prerogatives. However, the change seems to have been purely semantic. To the core: Defense Minister Fernando Azevedo e Silva made some changes to the Defense and Information Security Policy of the Ministry of Defense, involving the communication flow of state secrets that pass through the ministry. Previously, only administrative proceedings were foreseen in the aftermath of a leak, for example. Now anyone who leaks or violates any other rule, such as making improper use of system access credentials, will be subject to civil and criminal lawsuits. This applies not only to the military, but to interns, consultants, auditors and private contractors in general. To the core: The ordinance authorizes the extension of the National Security Force’s presence to prevent and repress agrarian conflicts on land issues in Caarapó (Mato Grosso do Sul), as well as to act against drug and gun trafficking in border areas (close to Paraguay). The forces will be deployed for another 90 days. > To promote the participation of 20% of strategic defense companies in the seminars on foreign trade and/or investments in the Industrial Defense Base. > To lead ten annual negotiation processes with banks to obtain official financing lines between Defense Companies, Strategic Defense Companies and other companies that produce military employment goods and services. > To amend the rules from at least one Constitutional Financing Fund in order to allow funding for defense projects. > To promote the dissemination of the Financing and Investment Strategy for the Defense Industrial Base, in at least ten institutional events per year. Among the companies classified by the Ministry as “defense companies” are weapon makers Taurus, Imbel and CBC, and Odebrecht’s defense branch. To the core: The rule considerably broadens the types of activities that must be present in the Federal Technical Registry of Potentially Polluting Activities and Environmental Resources Users (CTF/APP), with location data for each of these activities. The list now includes all Annex I of Normative Instruction No. 11, dated April 13, 2018, which includes, among others, slaughterhouses, alcohol and non-alcohol factories, road and railway works, and energy generation and distribution activities. There are more than 185 activities listed. To the core: The Ministry of Defense extended the benefit of immediate withdrawal of the amount related to special leave for military personnel who, in 2001, opted to pay this license in cash only after death (for the benefit of their families). To the core: The executive secretary of the Ministry of Economy will have the power to define the approval of contracts of up to R$ 10 million within the entire structure of the ministry. Before that, it was the responsibility of lower officers from the different agencies and offices linked to the extinct Ministry of Finance. Under the previous rules, in relation to contracts up to R$ 500,000, even third-level personnel had the power to authorize the agreements. To the core: The National Petroleum Agency, the regulatory agency of the oil market, has defined that the government will revoke its authorization for distributors who sell solvents (used in the chemical industry, including fuel production) to irregular companies, defined here as fronts (formal address without actual ongoing operation) or companies declared unfit with the Federal Revenue Service. To the core: Law sanctioned by Jair Bolsonaro allows cooperatives to act representing their associates in court. Before, there should be an individual express authorization in this sense. The prerogative of cooperatives now resembles that of labor unions. To the core: A law approved by Congress last year and now sanctioned by Bolsonaro reduces the limit of absences per student from 50% to 30%. If it exceeds this limit, schools have the obligation to report it. Previously, there was also provision for a notification to the Justice court and to the representative of the Public Prosecutor’s Office, but this was excluded in the new wording. To the core: The presidential decree mandates the extension, as of February 4, 2020, of the work of the Brazilian Space Program Development Committee for a further year, with the objective of defining the guidelines for the enhancement of the country’s space performance. To the core: Ancine, the agency responsible for the regulation of the Brazilian movie industry, has defined new rules for granting financial support so that Brazilian films can be promoted at festivals abroad and at trade conferences in the film market. Last year, Ancine reserved BRL 1 million for the support of Brazilian productions. For this year, the amount will be BRL 1.8 million, including the production of subtitled films and trips to events. 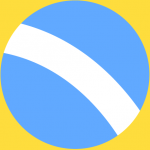 There were 96 festivals on the 2018 support list. For this year, there will be 100. To the core: Iphan, the federal agency responsible for the preservation of Brazil’s cultural and historical heritage, has defined a Master Plan for the Guararapes National Historical Park, in the metropolitan region of Recife (Pernambuco state). In practice, the ordinance regulates the urban occupation of the park territory. It is one of only two national historical parks in Brazil. The other is the Missões Historical Park, in the southern state of Rio Grande do Sul. The area of Guararapes Historic Park, a hill overlooking the sea in Jaboatão dos Guararapes, was registered in 1965. Only now it is being regulated. It was one of the most emblematic stages of the dispute between Portugal and the Netherlands on Brazilian soil, during the 17th century. The limits defined in the ordinance do not involve any real estate. They will remain within the park territory, including a 12,500-square-foot house utilities Arno plant, which opened in 2015, and the luxurious headquarters of the Brazilian Northeast Union of the Adventist Church. To the core: Ceagesp, Brazil’s largest supplier of fruits, vegetables, and fish, managed by the federal government, has set new rules for farmers interested in taking their goods to warehouses in the state of São Paulo. So far, it was only necessary to present proof of tax and labor regularity. But now the agency will also demand legal, technical and economic-financial proofs, which includes accounting statements and statute or social contract in force. The period for regularization of permits and authorizations to use Ceagesp spaces was extended by another 90 days. It is the time that producers will have to adapt to the new demands.